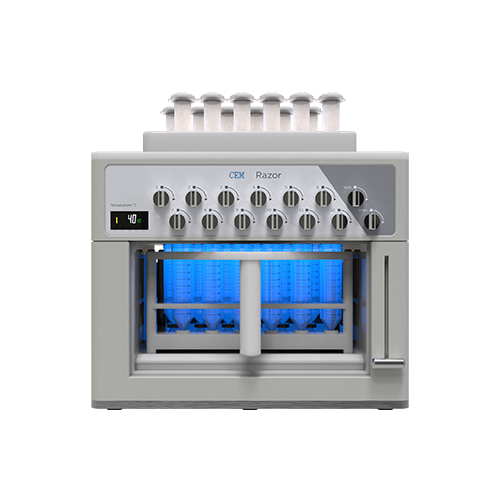 The Liberty Blue HT12 Automated Microwave Peptide Synthesizer is the gold standard for peptide synthesis. It features unmatched 4-minute cycle times along with a 90% solvent reduction based on High Efficiency Solid Phase Peptide synthesis (HE-SPPS) developed in 2013. 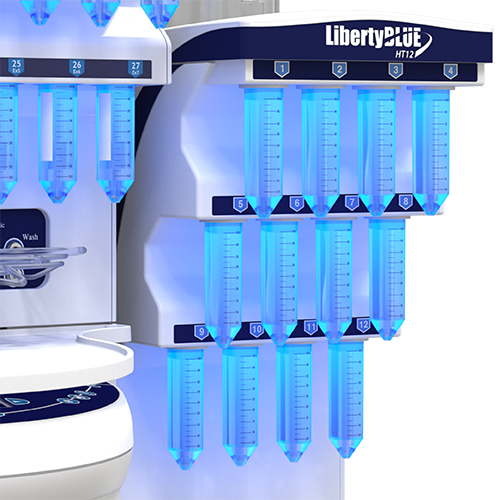 The HT12 upgrade for Liberty Blue allows for the fast sequential synthesis of up to 12 peptides which offers significant advantages over traditional parallel peptide synthesizers. 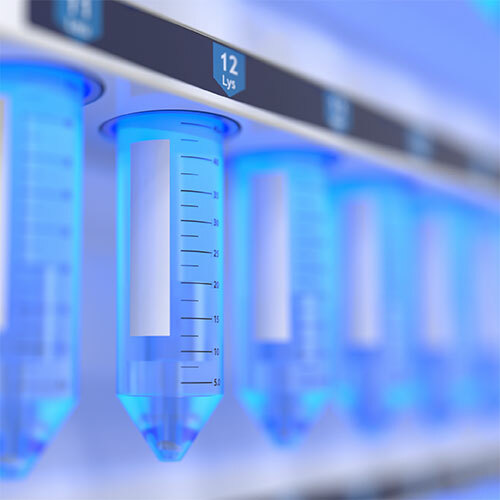 This system is utilized in hundreds of laboratories worldwide and provides unparalleled peptide quality based on its unique methodology and use of microwave energy. 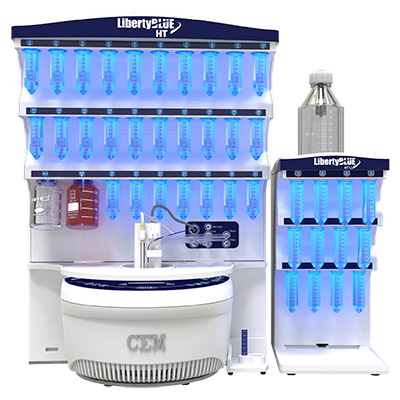 The Liberty Blue HT12 features the latest in engineering for fluidic deliveries, true internal temperature feedback control, and software control with 21 CFR Part 11 compliance. 2014 R&D 100 Award Winner. 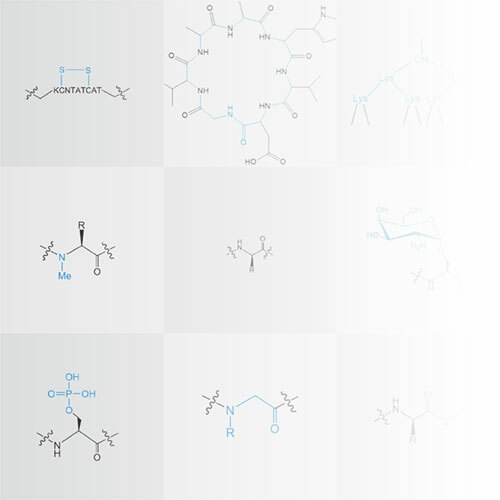 High-throughput peptide synthesis made easy. The best coupling method for peptide synthesis. The best way to deliver critical reagents. 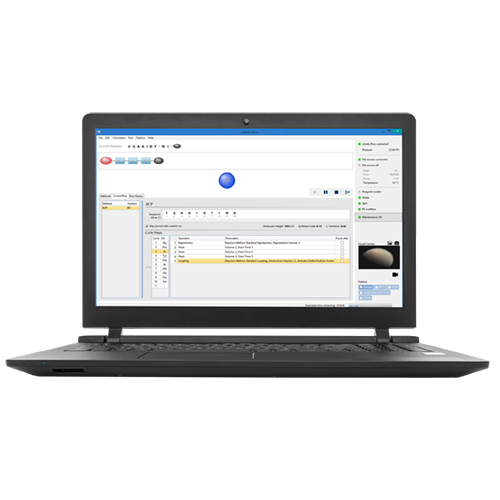 The most advanced software for simple and flexible control. 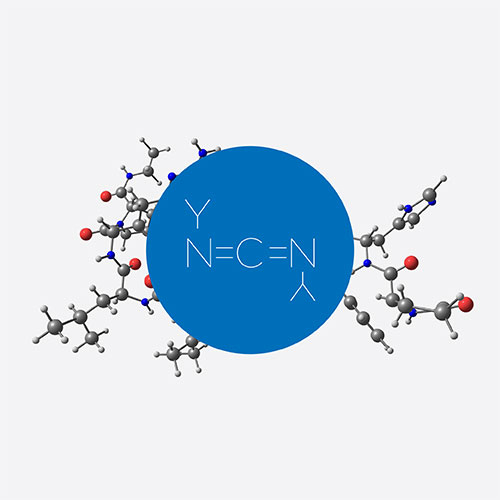 Synthesize standard and complex peptides. Cleave peptides in only 30 minutes. The Razor is the perfect compliment to the Liberty PRIME. 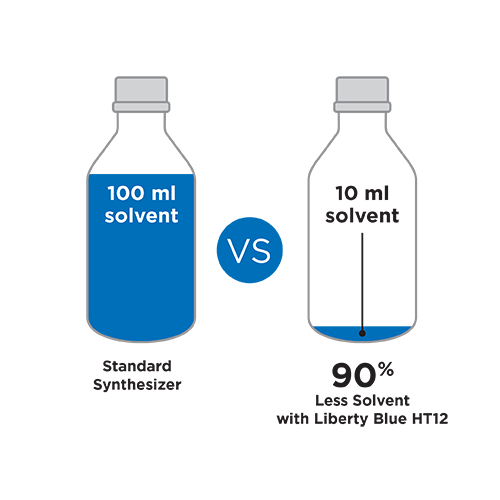 Cleave peptides in only 30 minutes while protecting your synthesizer from volatile TFA fumes.